The Lead with Love Fellows are a dedicated group of individuals who are "committed to being the change" and who help underwrite Lead with Love through generous donations. The Support of a fellow provides ONE Scholarship for an underserved minority or child to attend Lead with Love Summit + critical funding for “Project Wellbeing” subsidized workplace wellbeing programs and the overall Lead with Love Movement to shift culture from fear to love. 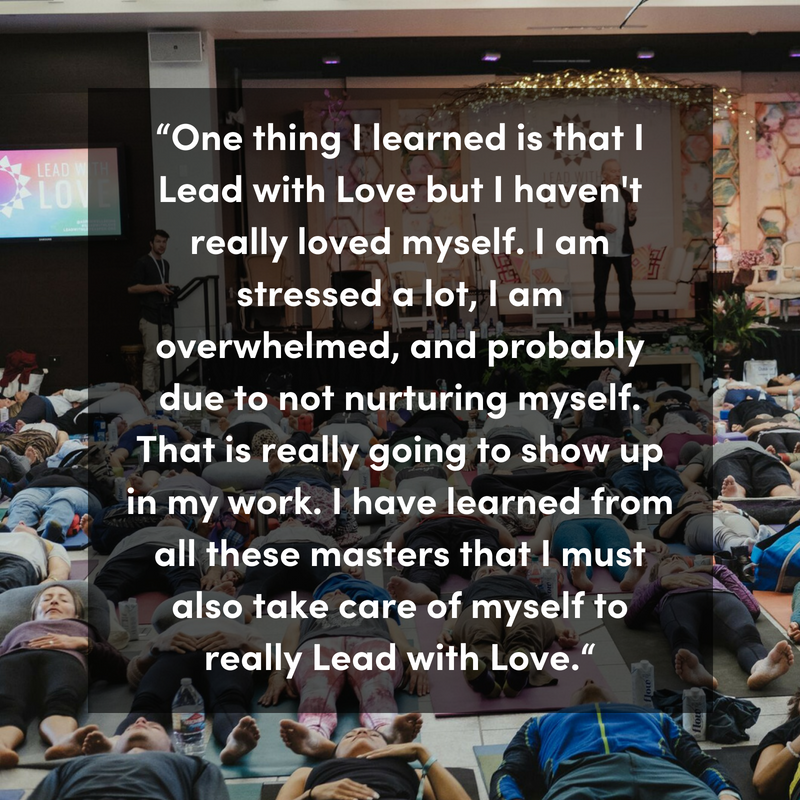 VIP Seating and experiences at the Lead with Love Leadership Summit. Two interactive lunch discussion with Lead with Love Founder and Director Gina Murdock including presenters Dr. Rudy Tanzi (Oct 25) & Lynne Twist (Oct 27). Group Integration Session on October 28th, 2018.